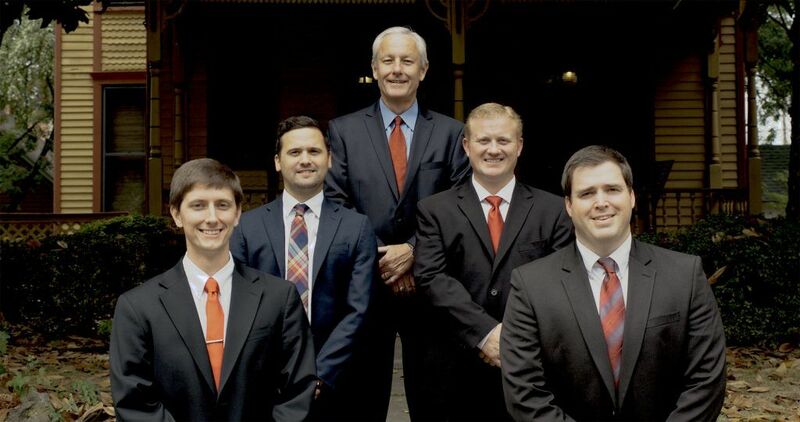 At the Law Offices of Craig L. Cook, our five talented attorneys offer legal services in six different practice areas. When you need legal counsel for issues regarding personal injury, bankruptcy, workers’ compensation, Social Security disability, family law, or criminal law, our attorneys offer affordable and personalized assistance. We have more than 40 years of combined experience providing dedicated legal services to the hard-working people of Arkansas and Eastern Oklahoma. Our top priority is to keep you calm, confident, and free of anxiety in your pursuit of a positive outcome. If you suffer a personal injury due to someone else’s negligence, it is important to contact an attorney as soon as possible. Our lawyers will provide compassionate guidance while aggressively pursuing compensation on your behalf in the form of medical coverage, pain and suffering damages, and money for lost wages or earning capacity. We may also seek punitive damages against the negligent party to prevent accidents or injuries to others in the future. Would you like a fresh financial start? If you become overwhelmed with debt and are unable to pay your bills, consider filing for bankruptcy to stop your creditors from harassing you. Our attorneys can assist you in filing for Chapter 7 or Chapter 13, giving you the firm footing you need to secure your financial future. If you suffer an injury or contract an illness while at work, you may be unable to complete the duties of your job for an extended period of time. Our attorneys can help you obtain workers’ compensation benefits by advising you during the filing process. We will shoulder the load in your case, allowing you to focus on your physical and mental recovery. If you are unable to work due to a physical or mental condition and need money to support yourself and to provide for your family, you might be eligible for Social Security disability. Our attorneys can determine your eligibility, help you file your claim, and advocate for you should you need to pursue an appeal. Although most people do not marry assuming that their marriage will end, divorces are quite common. Divorces are often complex and emotional, but a lawyer can help you take a step back so you can view your case with a more critical eye. In addition to divorce, our attorneys can assist you with several aspects of family law, including property division, child custody and visitation, child support, and spousal support. The criminal justice system can be intimidating, and a conviction could affect your freedom, your family, and your livelihood. Our attorneys handle major and minor crimes, from misdemeanors and DWIs to serious felonies. For legal counsel and guidance through the criminal defense process, consult with our attorneys. Call the Law Offices of Craig L. Cook today at 479-783-8000 or contact us online to arrange a free consultation. Our office hours are flexible to fit your needs — simply call and ask for an appointment at a convenient time for you at any of our five locations.